Our mission is simple, really. We provide the freshest, best-tasting lettuce, grown locally and sustainably without the use of pesticides, herbicides or other harsh chemicals.  We are Minnesota Grown 365 days a year. Revol Greens is committed to sustainable and responsible farming. Powered by filtered rainwater and natural sunlight, our lettuce and greens are harvested daily and delivered fresh. Our innovative greenhouse merges natural growing and modern technology to provide the optimal growing conditions 24/7, 365. Our greens are non-GMO and grown naturally without the use of pesticides. We grow local, meaning no long truck rides and fresher, tastier lettuce for you. Growing lettuce during a Minnesota winter is no small feat. We use highly efficient radiant heat and supplemental LED lighting in the winter months. Our greens are protected from the outdoors and pests looking for a healthy snack. We don't use pesticides or other harsh chemicals because we don't have to. Our greenhouse lettuces use 90% less water than outdoor-grown lettuce. Even better? All of the water our greens need is recycled rainwater captured off the greenhouse roof.